Michigan Bus TrioChicago Botanic Garden and Private Gardens Bus TripGreenfield, Burlington and Janesville, WI Bus Trip﻿Traveling with other gardening enthusiasts is a wonderful way to make new friends and get ideas for your own garden. We organize trips as short as a day trip to the Chicago Botanic Garden and as long as ten days in England. View our event calendar to learn about upcoming trips. Many trips fill up quickly, so be sure to book your trip as soon as you know you're interested. Please note - Registration for the 2019 trips will be done ONLINE ONLY. You may pay for your trips online with a credit card or by mail with a check. Online registration for all trips will begin at noon on Monday, March 18th. 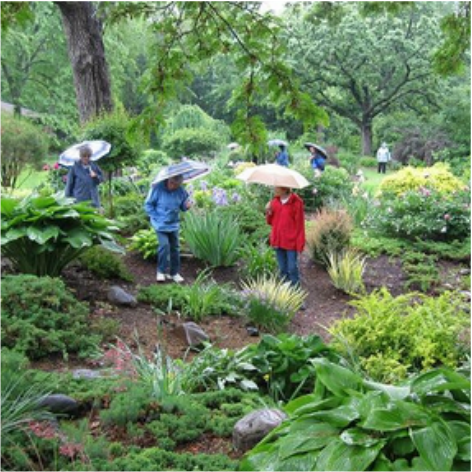 In conjunction with other local gardening groups, we coordinate tours of Madison-area gardens of special interest. Typically, tours will be of 3-6 gardens in a geographic area, are free to members, and are self-guided. View our event calendar to learn about upcoming garden tours.